Kubikiribocho Sword of Zabuza Anime Sword | BUDK.com - Knives & Swords At The Lowest Prices! 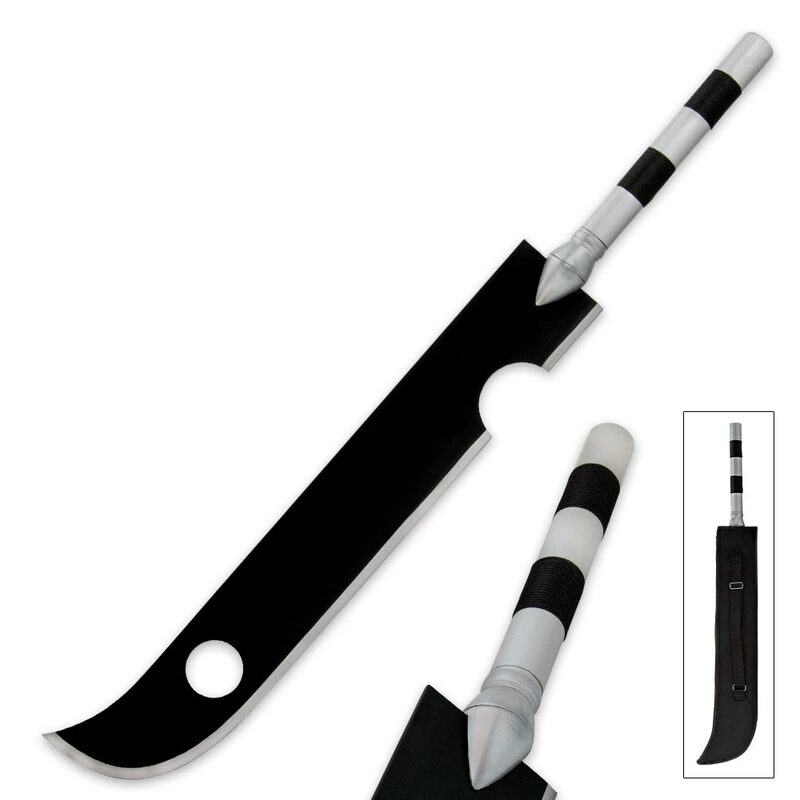 Your anime and gaming sword collection won't be complete without the addition of the Kubikiribocho, sword of Zabuza. This butcher knife style replica sword is inspired by the sword carried by Zabuza in the popular anime series. It features a 25 1/2" carbon steel blade with a hand-painted black finish. The wooden handle is striped just like the one in the anime series. A black nylon scabbard is included.